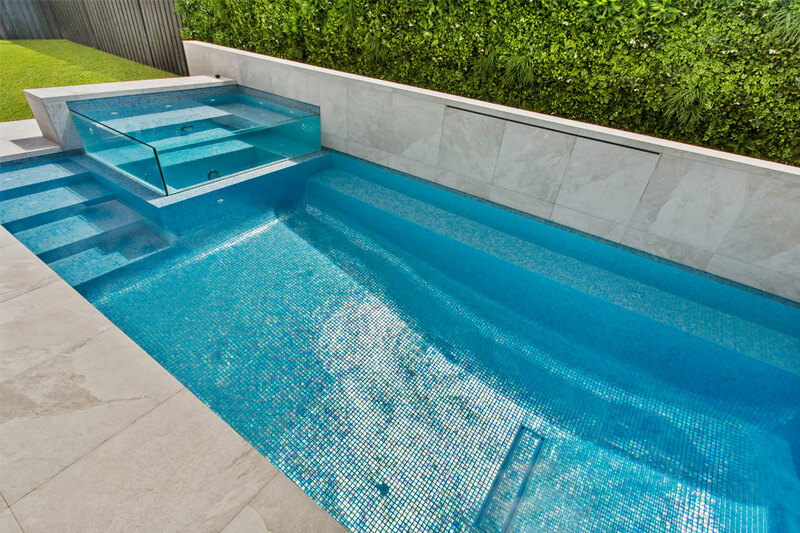 A pool is one of the most valuable features of any home and keeping it in top condition is important throughout the year. René Hart reveals the best way to maintain your pool through winter, and prepare it for summer. Thanks to advances in pool covers, as well as solar and gas heating solutions, today’s pool owners have the luxury of extending their swimming season as long as they wish, without needing to spend too much extra time or money. However, for most of us, our swimming season remains tied to the natural seasons, and during winter our pools remain covered and unused. As the cooler weather approaches, don’t make the mistake of completely forgetting about your pool; it can end up costing you money! With some simple pool maintenance through autumn and winter, you can almost be guaranteed of a fresh, clean pool by the time the warm weather returns. 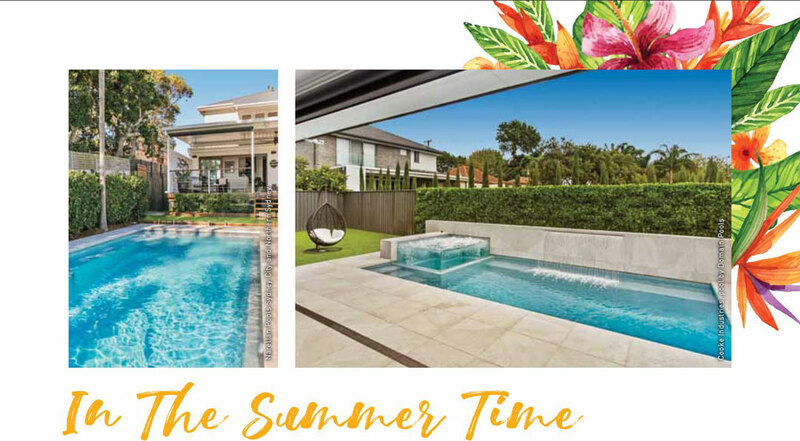 Queensland Pool + Outdoor Design speaks with Matt Ranieri, the owner of Narellan Pools Sydney City and Northern Sydney, and Bradley Hamilton, the sales manager for Cooke Industries, about the essential steps you should take during winter and in the lead-up to the warmer months to keep your pool in tip-top shape all year round. Winter presents a brand new set of challenges for maintaining your pool, but the work you put in during the chilly ‘off’ season will pay big dividends when you next decide to crack it open for a dip. Before you put away your bathing suit at the end of summer and call it a day, you’ll need to prepare your pool for the colder months. Here are some handy tips for ‘winterising’ your pool so it won’t suffer any damage from the cold. Leaving your swimming pool exposed to the elements will mean it needs cleaning more regularly, which is why it can be wise to invest in a cover. Covering your pool will help keep leaves and other organic material out, which means less cleaning for you and less food for algae and bugs to thrive on. Further, a cover will protect your pool from adverse weather conditions. When winter arrives, make sure all surfaces of the pool are scrubbed with a broom or brush to remove any algae growth or build-up from the warmer summer months, and then remove all the debris and organic material you dislodged while scrubbing. Testing your pool water and ensuring it is safe to swim in is a vital part of maintaining your pool, even in winter. “Testing the water at your local pool shop is essential throughout winter to identify any irregularities before they become an issue,” says Hamilton. It’s important to monitor the pH balance not only to ensure the water is safe, but also to keep it looking aesthetically pleasing. The Australian standard for pH levels is 7.0 to 7.8, with 7.4 being ideal. If you leave your pool untreated, bacteria and other organisms will begin to develop in the water, which will turn it cloudy and affect the skin and eyes of swimmers. Whatever you do, don’t ever switch the pool off completely. If there’s one thing algae loves almost as much as an under-chlorinated pool, it’s stagnant water. Continue to backwash and rinse your pool once a week to prevent a buildup of dirt. As the need for filtration isn’t as high over winter as it is during the warmer months, you can reduce your filtration system’s run time to just a few hours per day. This will ensure the pool stays clean while it is covered up. using the pool. This involves doing a visual inspection to make sure all your equipment is working properly, checking the water level and topping up if necessary, emptying the skimmer basket, and testing your chlorine and pH levels. “Maintenance requirements are site specific and influenced by many factors, including the debris load, pool equipment and operating hours,” says Hamilton. Caring for a plunge pool with a cover in a tree-less yard might be as simple as conducting a water test and emptying the basket once a month, whereas a large pool surrounded by deciduous trees might need the basket emptied weekly. Although maintenance may seem like a hassle, setting aside time will be well worth it later on in the life of your pool. It will also greatly reduce the amount of work you will have to do during spring when you want to get your pool ready for use again. “Visually, your pool can be a great feature of your home in winter when you aren’t using it, so keep up maintenance regularly; check and empty the skimmer box, use an automatic or manual cleaner for the floors and walls, monitor the water chemistry, and keep your filter and pump baskets clean,” advises Ranieri. winter, preparing it for spring and summer should be a breeze. 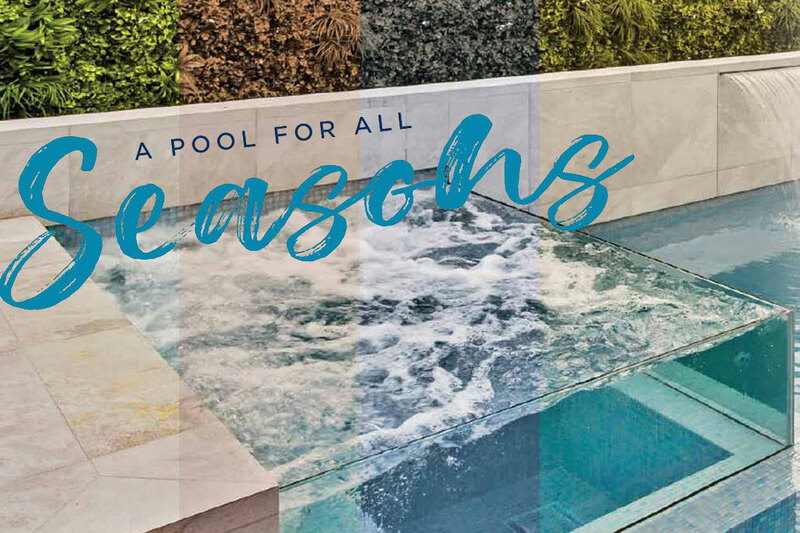 “By maintaining its health throughout winter, you can rest assured your pool will be ready to go when the summer weather arrives,” says Hamilton. Here are some ideas for preparing your pool so your family can safely enjoy the water in the warmer months. Once you’ve filled the pool back up, let the water circulate for at least eight hours before swimming so the new and old water can combine. Chemical balance is the most crucial part of preparing your pool for summer. Before you dive-bomb into your backyard aquatic splendour on the first sunny day, you need to make sure the water is safe to swim in. These days, you can buy test kits or strips to monitor the water’s chemical balance yourself,or you can take a sample to your local pool-maintenance professionals. 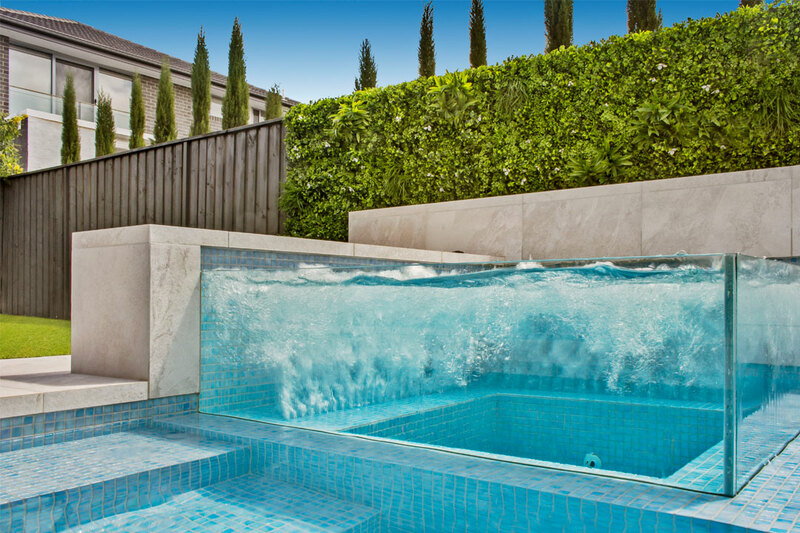 “For convenience and peace of mind if you are new to looking after a pool, hiring a qualified technician to check over your pool at the change of each season is a good idea, until you’re comfortable and confident enough to look after it on your own,” says Ranieri. After you’ve made a solid effort to bring your pool up to scratch for the swimming season, it should be easy to maintain for the rest of the summer. Continue to remove debris with a net, vacuum the pool surfaces, clean the filter and test the water balance regularly. Thankfully, with the variety of pool equipment out there today, your workload can be significantly decreased as long as you invest in high-quality products. 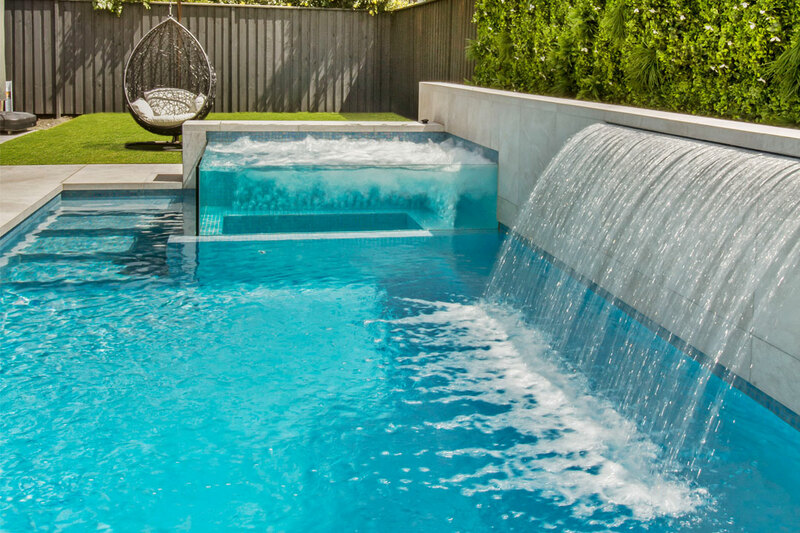 All the above steps lead to this one moment – the joy of removing your pool cover on a hot summer’s day, jumping in, and letting the cool water wash off the stress of the colder months gone by.